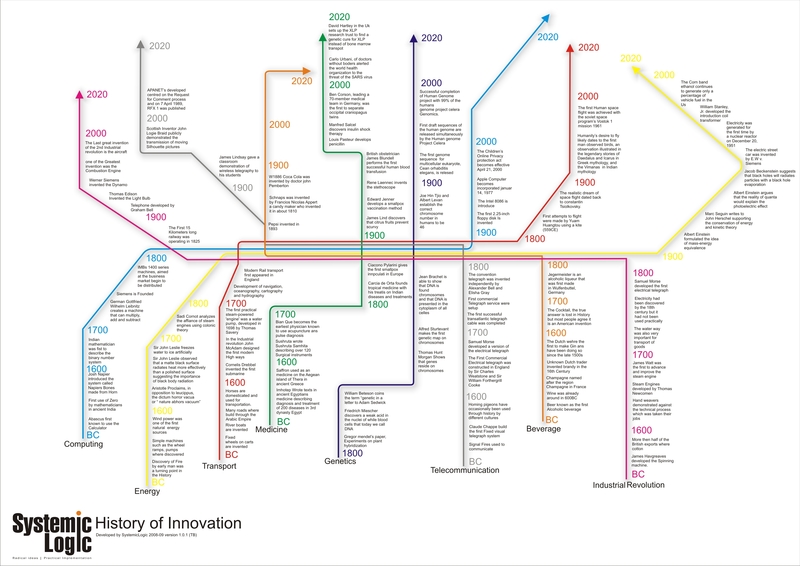 We have been trying to find different ways to depict the history of innovation (this is a draft version and work-in-progress). The posted does not show any “time bands” of change nor does it provide any detail as to the inventor. The idea is to represent some of the major changes from the industrial revolution onwards that changed our lives.